Spacious modern self-contained accommodation with cooking facilities, air conditioning and sky tv. Ideal for 2 or 3 travellers. 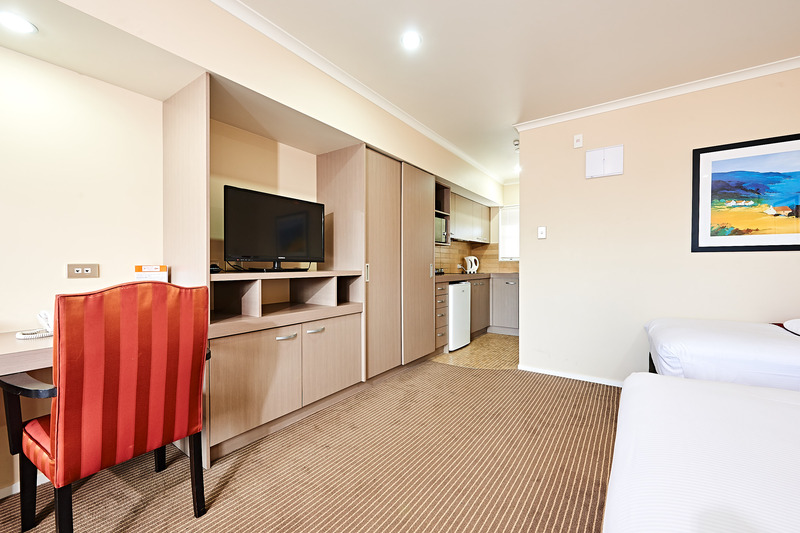 Our Deluxe Rooms feature modern kitchens with stovetop, microwave, refrigerator, kettle, toaster and cooking utensils, so are ideal for those who wish to cook their own meals for budgeting or dietary requirements. 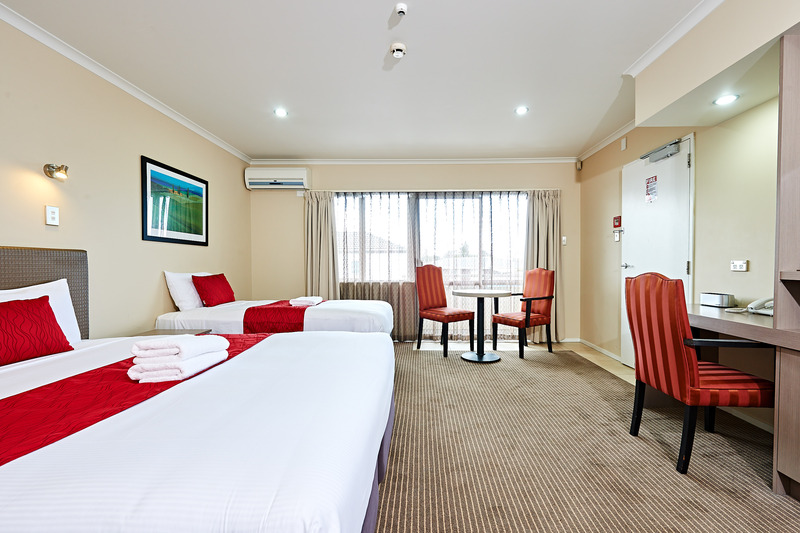 Sleeps 3: 1 King Bed & 1 Single Bed.